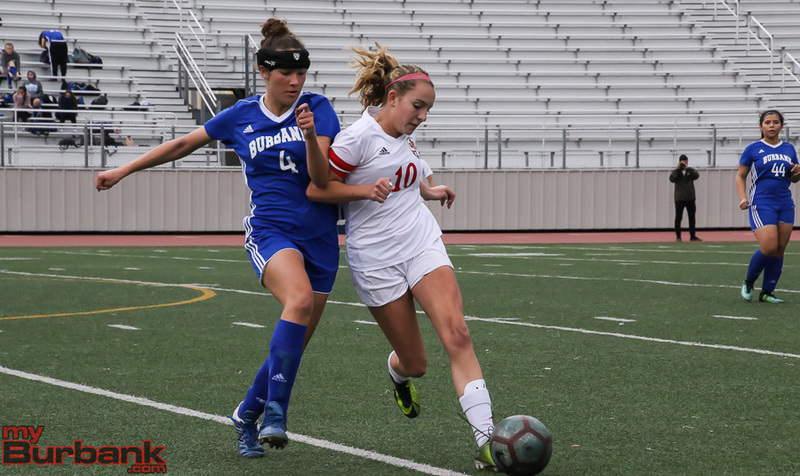 The Burroughs High girls’ soccer team capped off one of its best regular seasons in recent memory Thursday as the Indians put together a fine second-half attack to top host Burbank 7-0 in a Pacific League match. 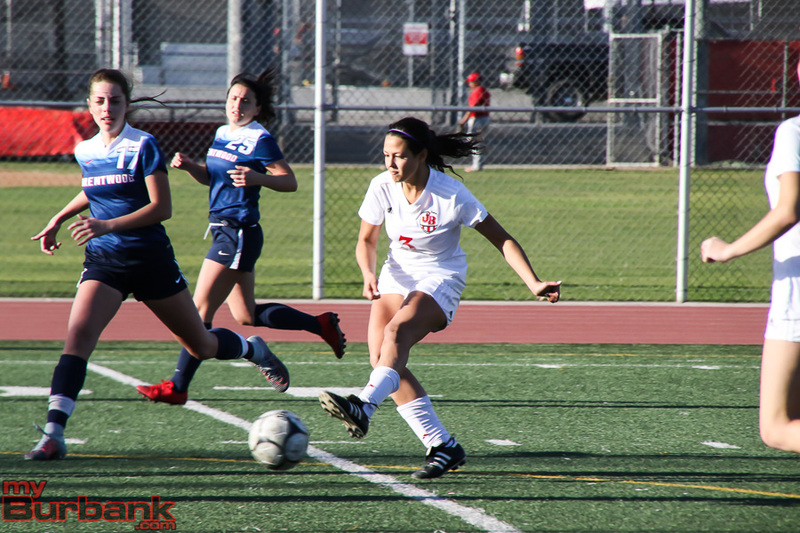 Burroughs (15-2-3, 9-1-2 in league) led just 1-0 over the Bulldogs (1-13-2, 0-10-2) in the first half. 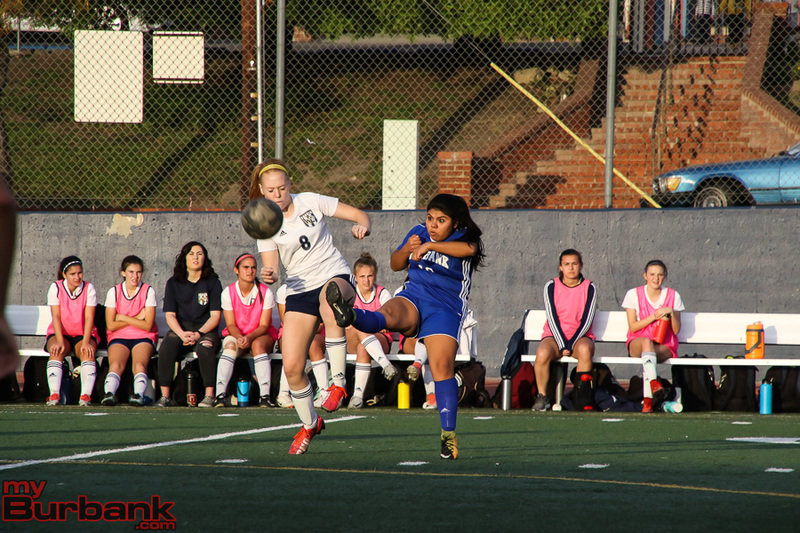 But the Indians completely took over the match in the second half, scoring twice within the first six minutes. 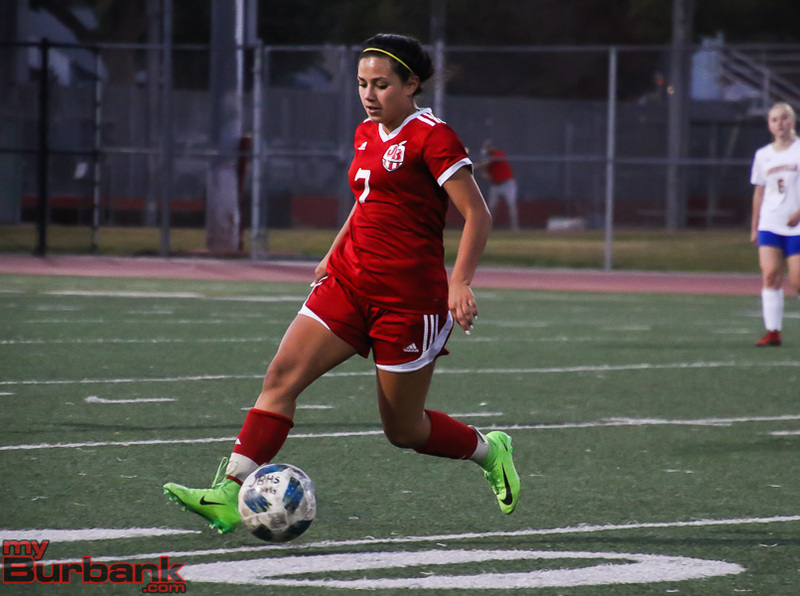 Catrina Villalpando had a huge game for Burroughs and is happy the way the Indians look going into the CIF playoffs next week. 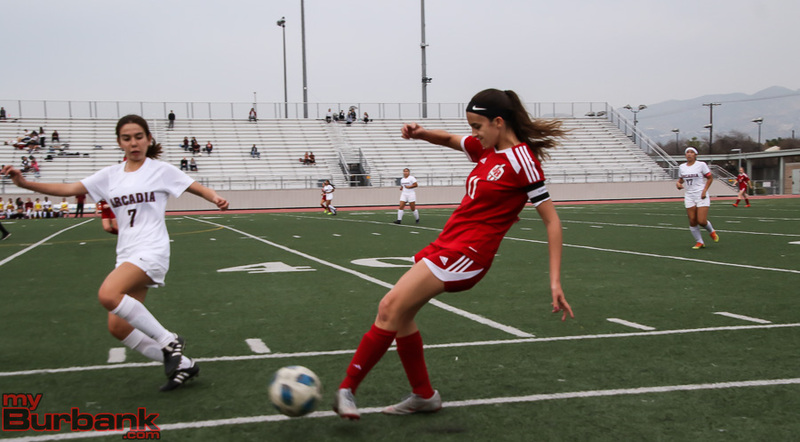 “We feel really confident. 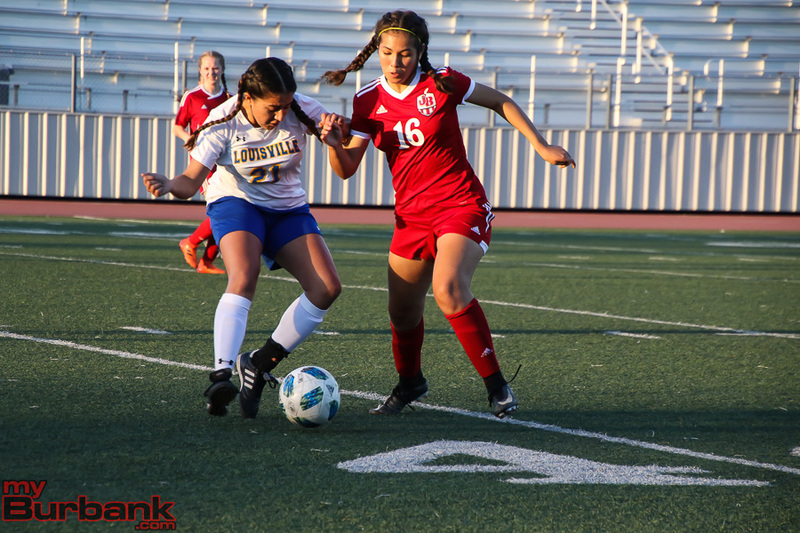 I think we can do really well this year and go a lot further than we have before,” Villalpando said. 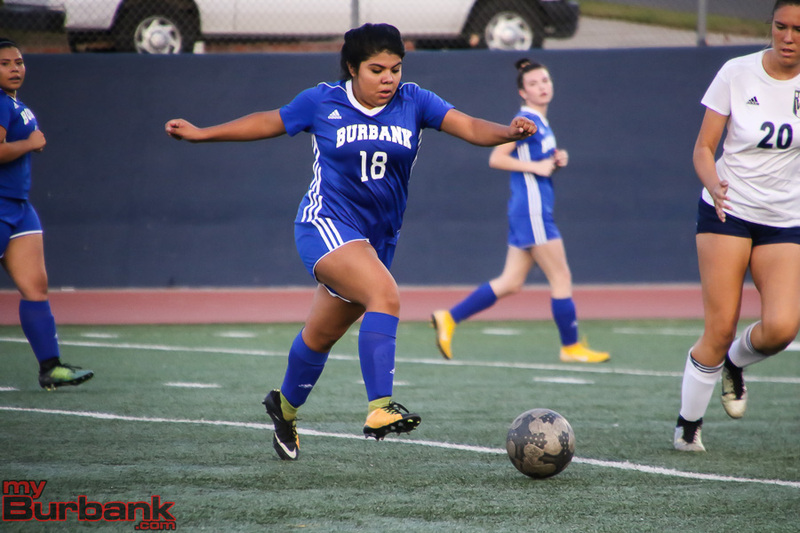 She scored the Indians’ first goal, taking a pass from Abbie Riggs in the 16th minute which she put past Burbank goalie Ashley Im. 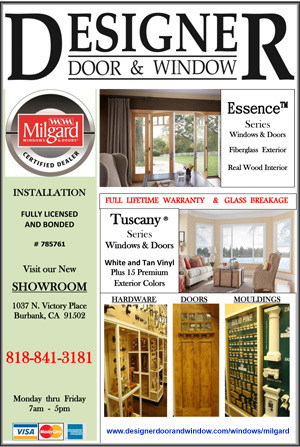 Villalpando then became the distributor to say the least. 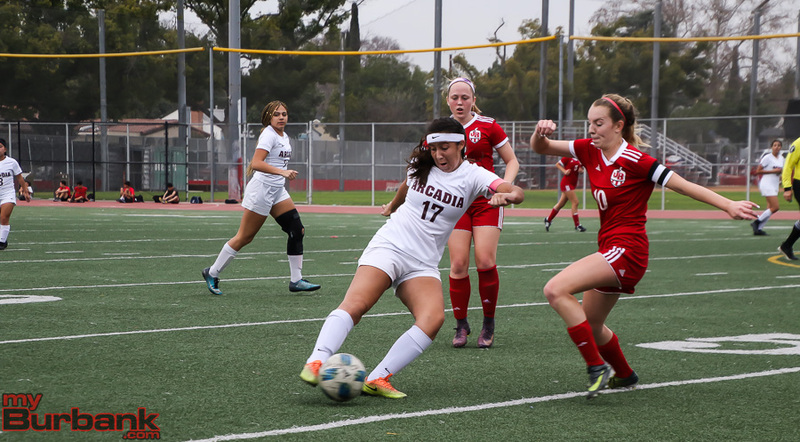 Samantha Avendano doubled Burroughs’ lead not long after the whistle to start the second half, taking a pass from Villalpando and putting it in the lower right corner. 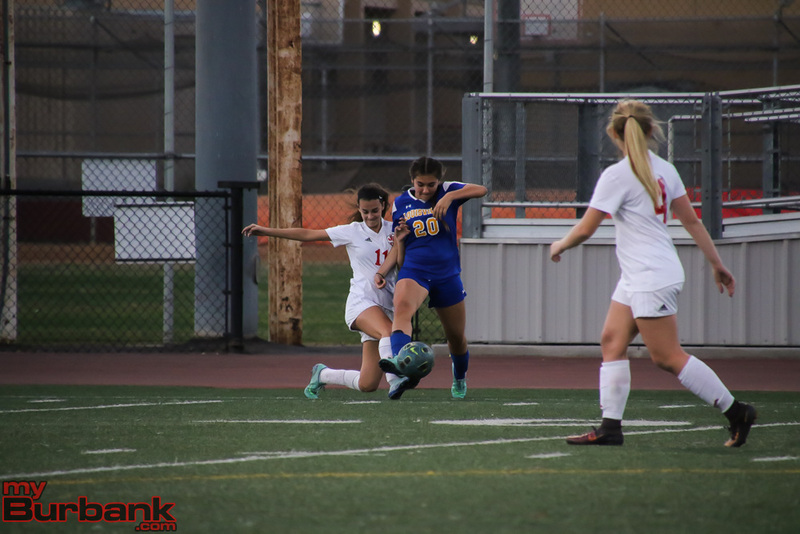 Five minutes later, Villalpando and Avendano hooked up once again on a goal that was very similar to the previous one. 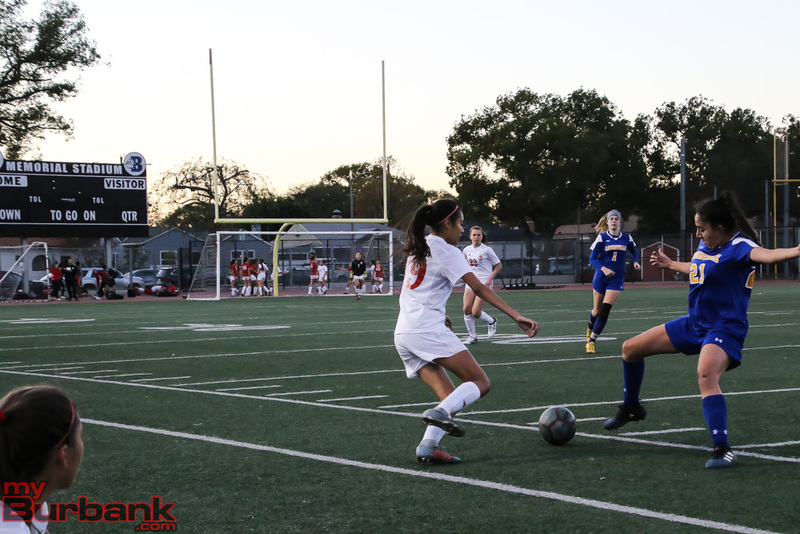 Villalpando then decided to strike up a friendship with Ava Kramer in the 60th minute. 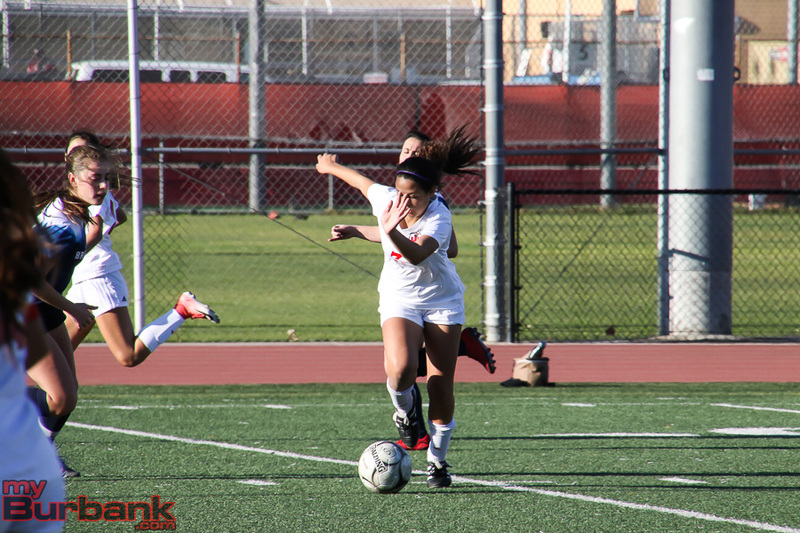 She delivered a cross to Kramer in full stride at the edge of the box. 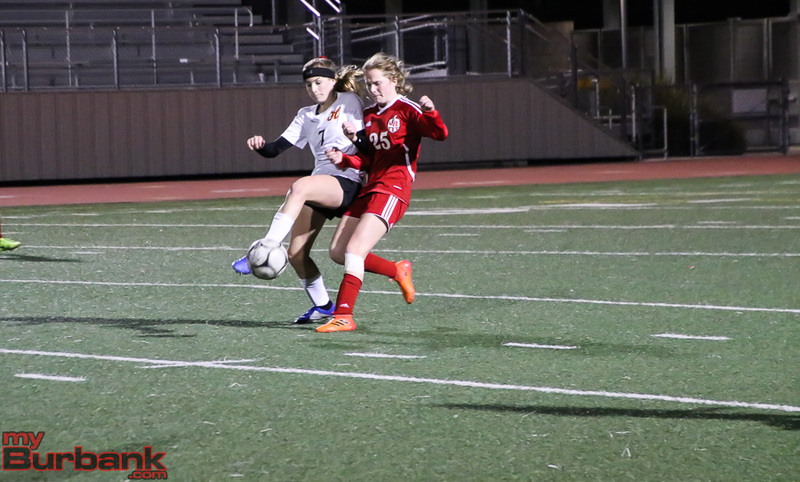 Kramer was able to put all of her weight behind the line drive into the upper left corner of the goal. 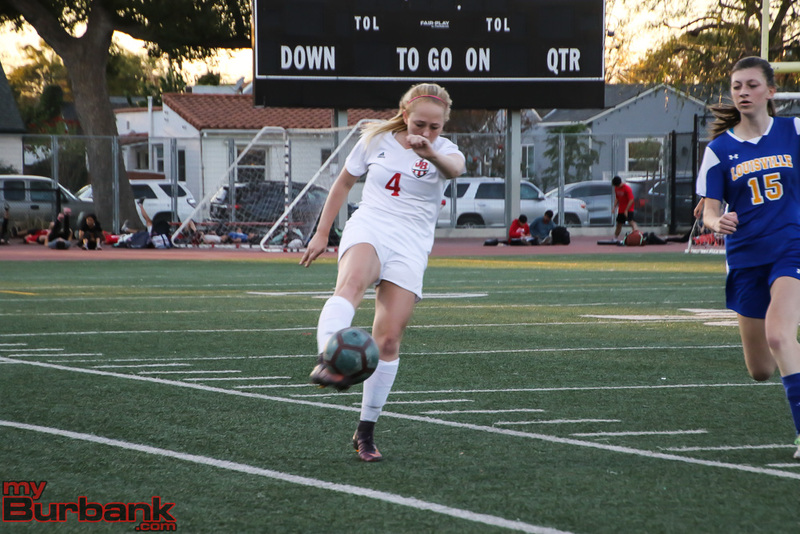 Kramer added a second goal in the 63rd minute by putting in a beautiful cross on a free kick that she knocked in from the back post. 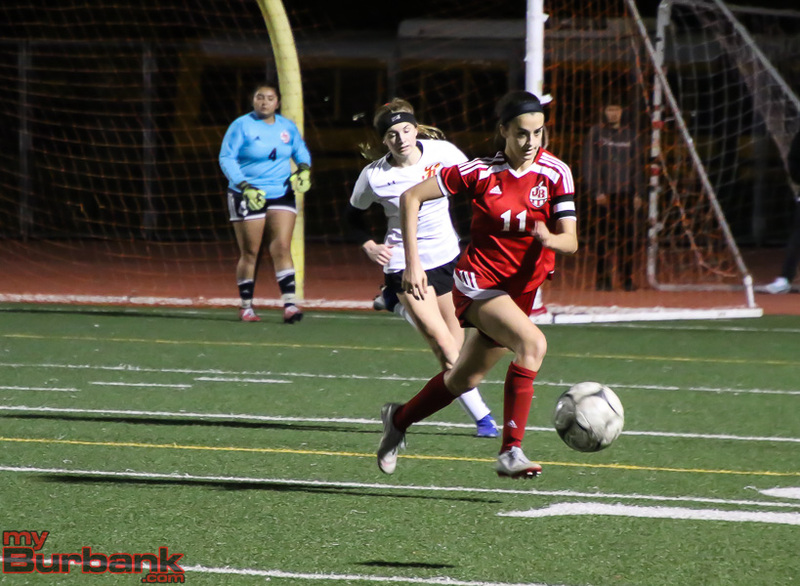 Villalpando later assisted a 72nd minute goal by Megan Rangel-Lynch. 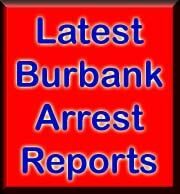 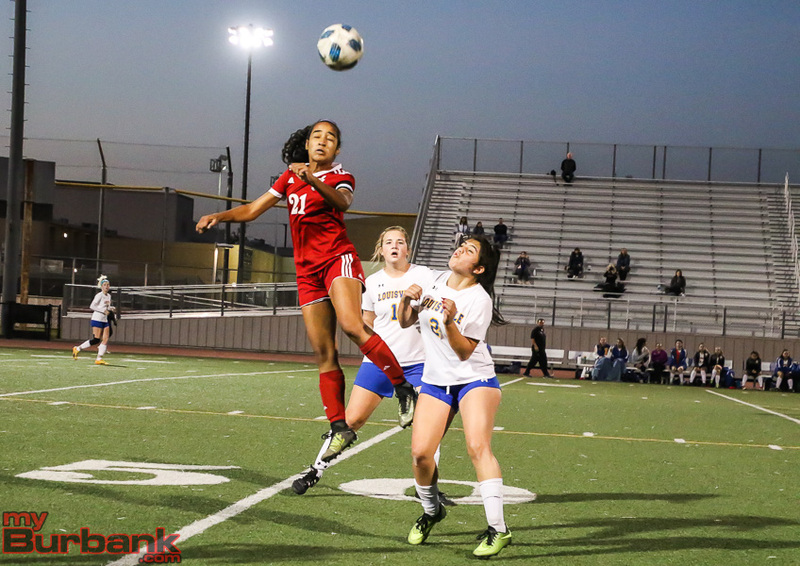 Burroughs freshman Lauryn Bailey added a seventh goal in stoppage time. 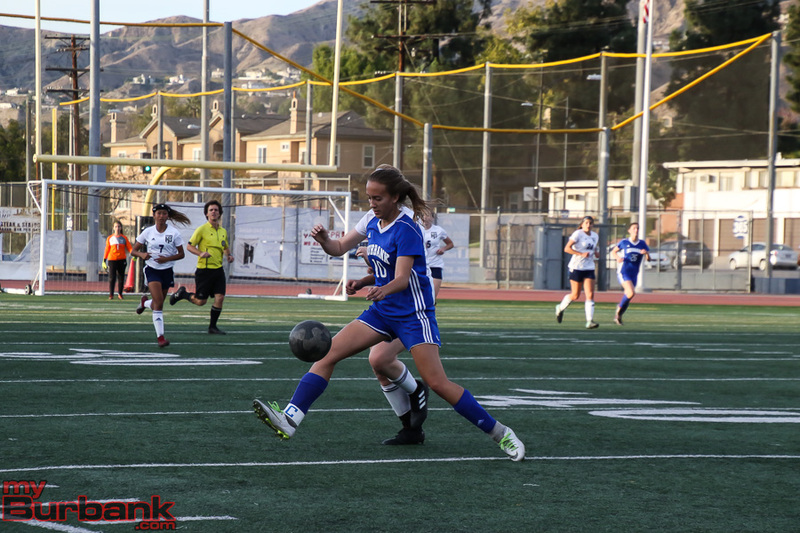 This entry was posted in Girls Soccer, Sports and tagged Abbie Riggs, Ava Kramer, Burbank girls soccer, Burroughs girls soccer, Catrina Villalpando, Lauryn Bailey, Megan Rangel-Lynch, Samantha Avendano on February 8, 2018 by Jim Riggio. 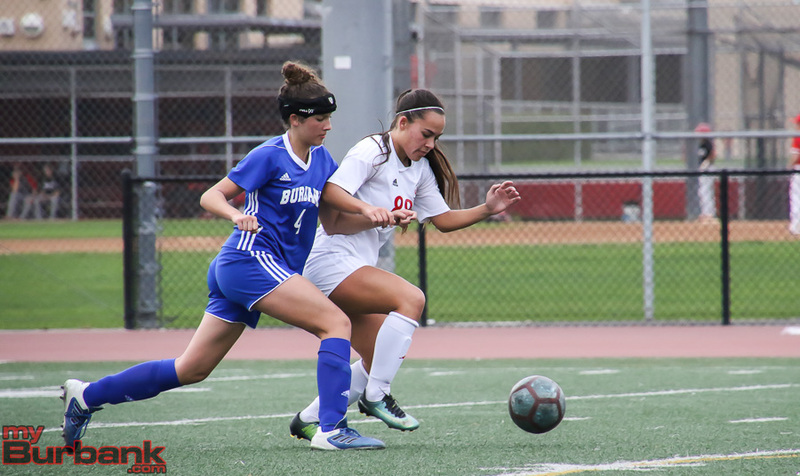 In an especially important and critical Pacific League girls’ soccer match on Friday afternoon, Burroughs High proved ready after blanking host Crescenta Valley 2-0. 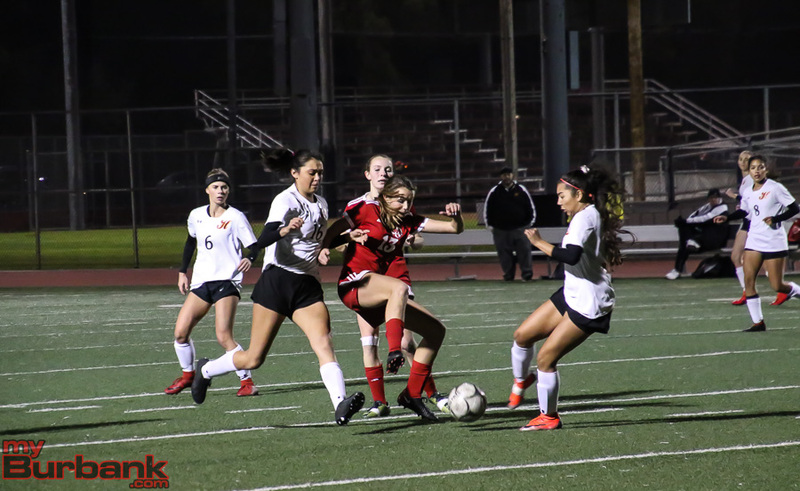 Now, the Indians (13-3-2 and 8-1-2 in league) are involved in a three-way scrum for the top spot in league that includes powerhouse Arcadia (9-6-2 and 7-0-2 in league) and the Falcons (9-6-5 and 7-1-2 in league). 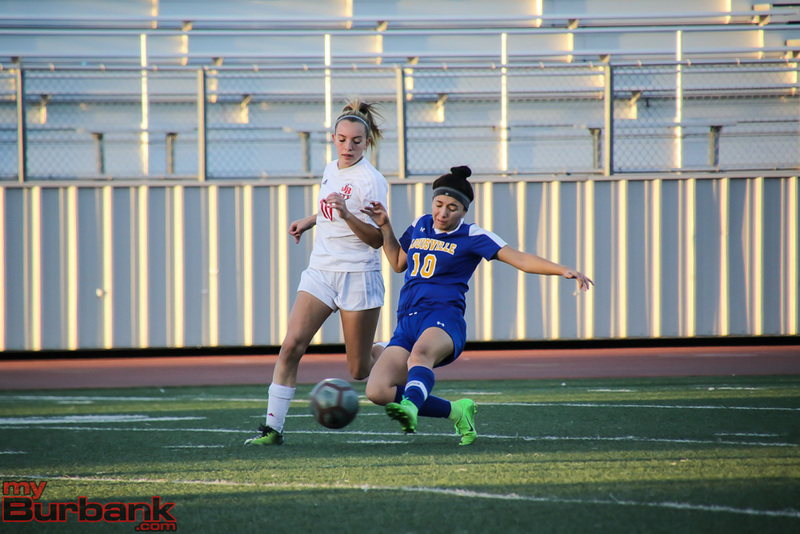 Riggs went on “It’s a big game for our program. 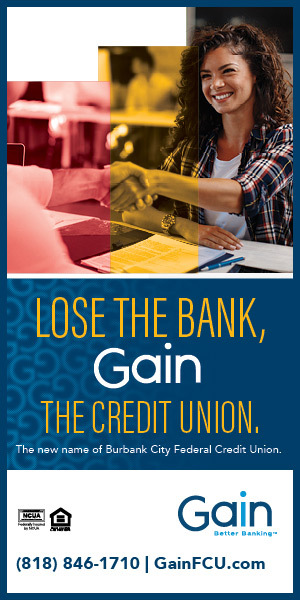 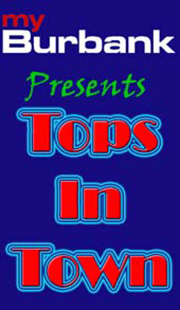 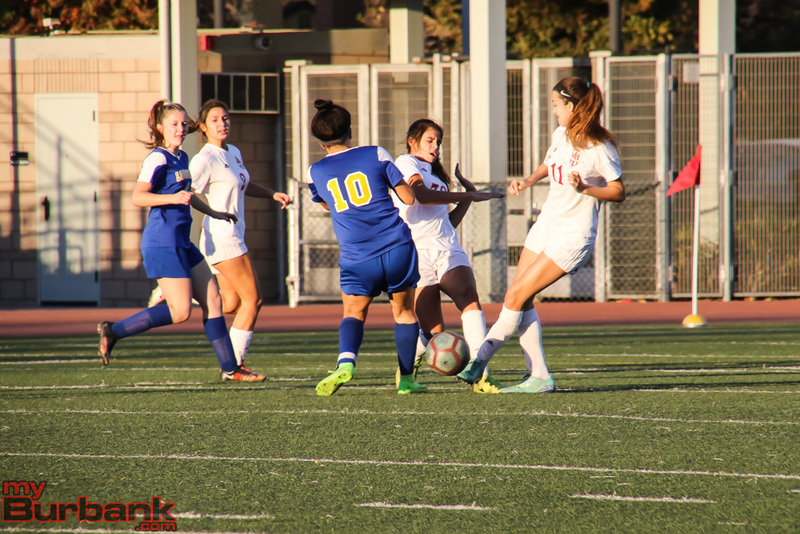 CV and Arcadia are the two best teams and they have been forever,” he noted. 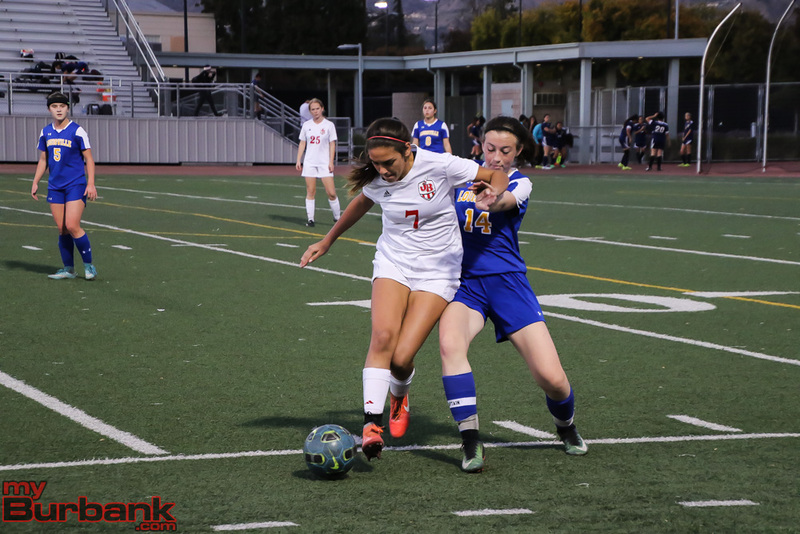 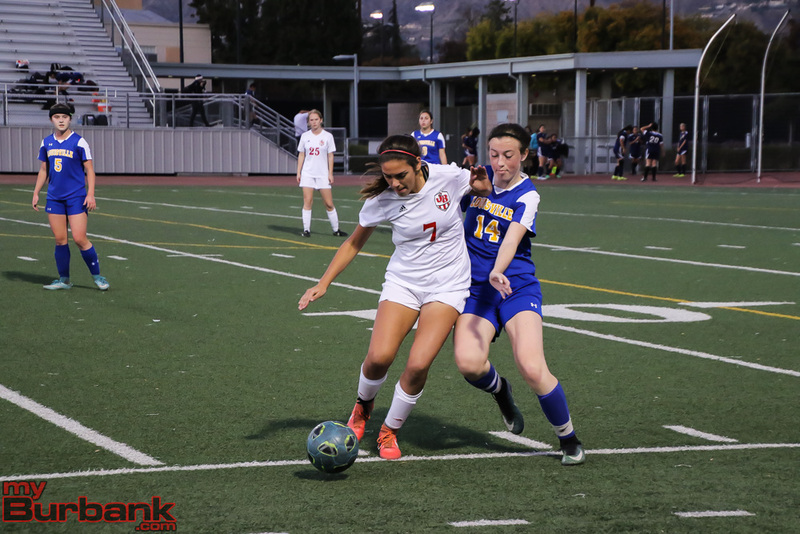 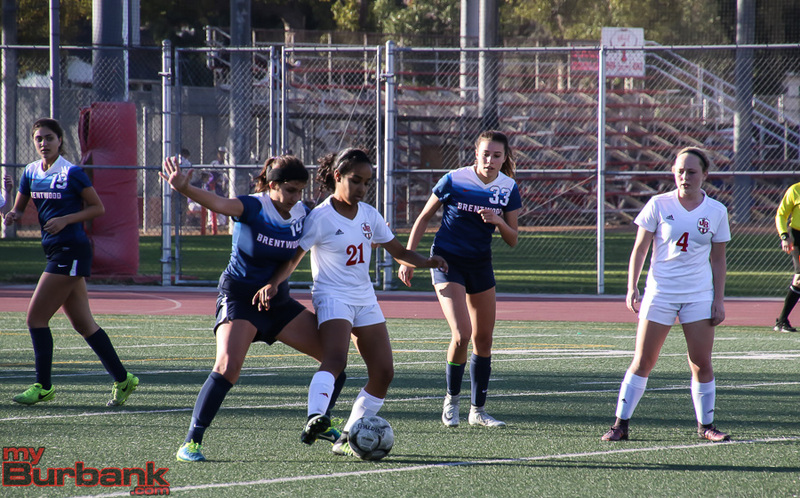 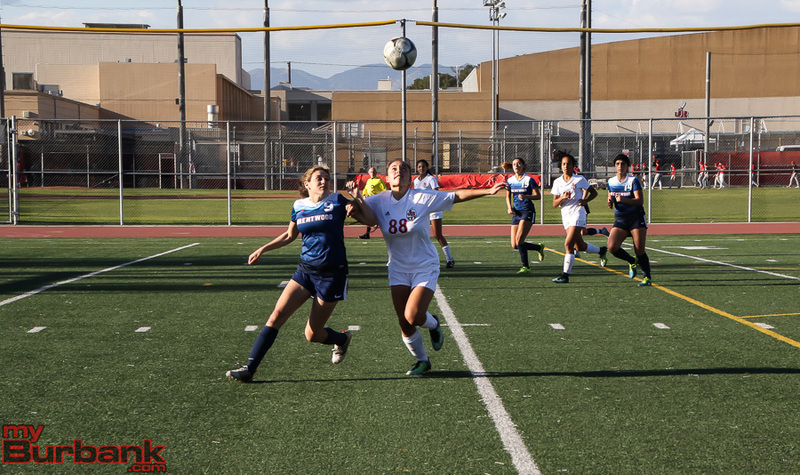 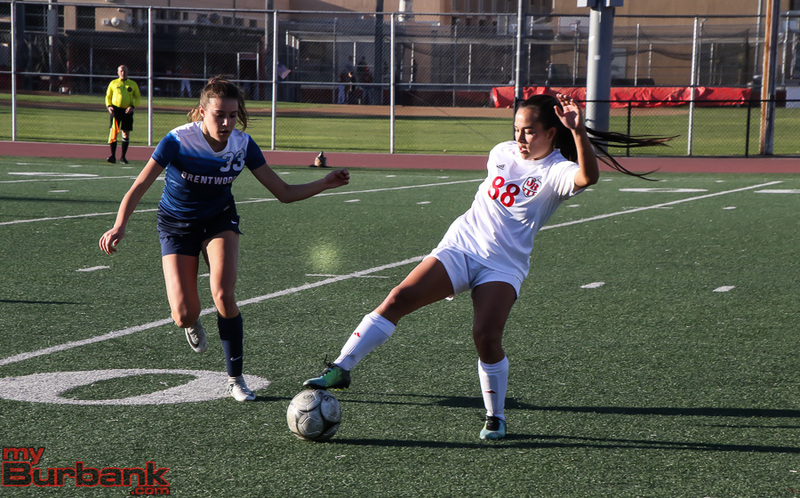 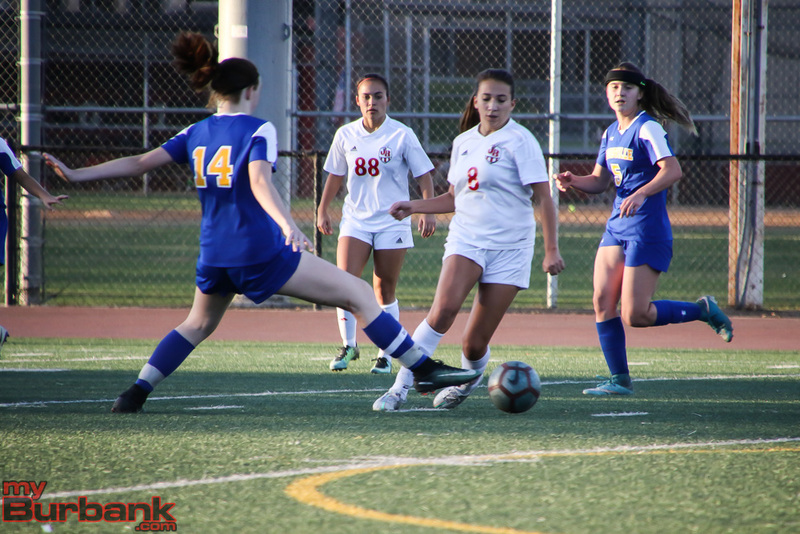 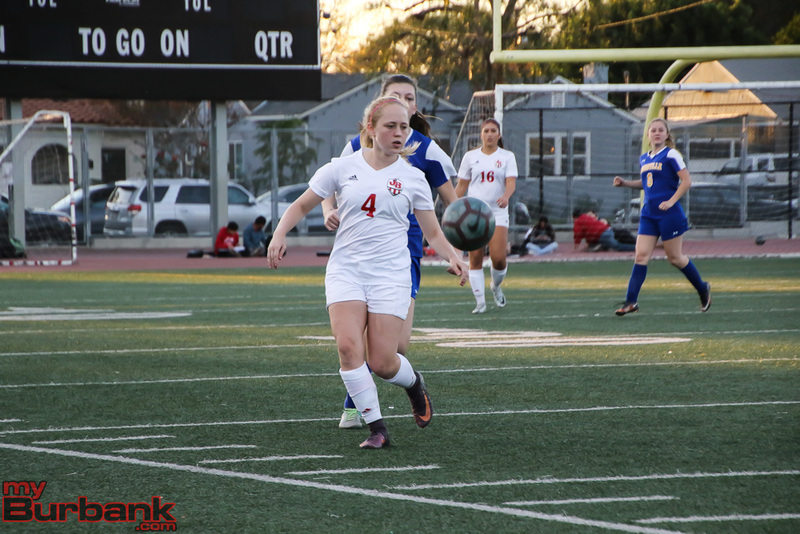 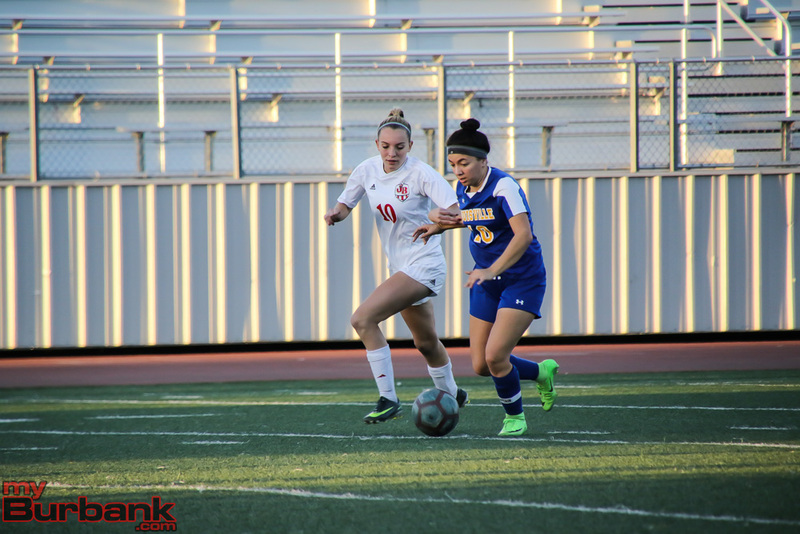 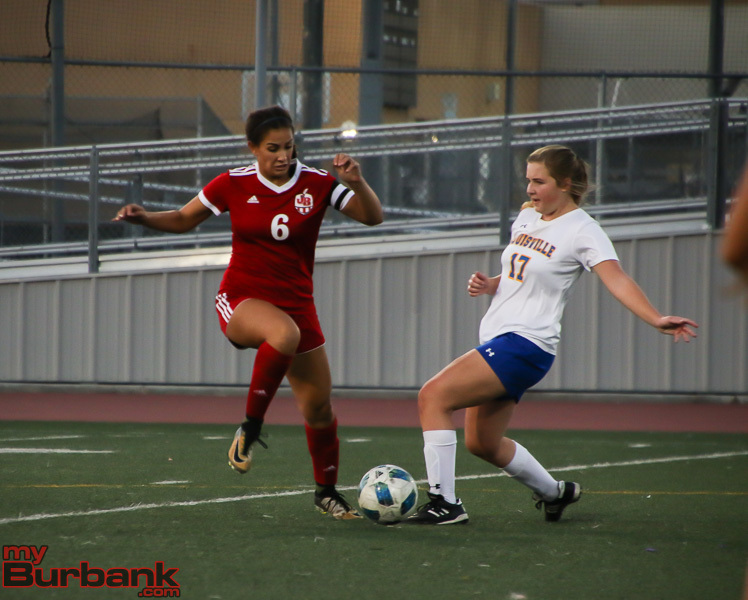 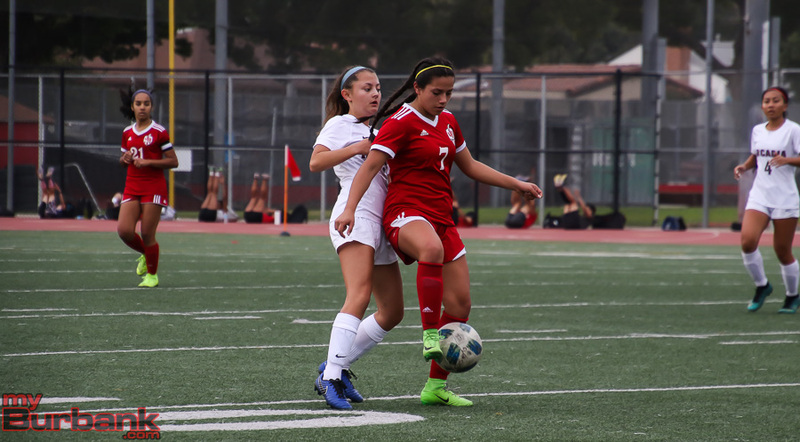 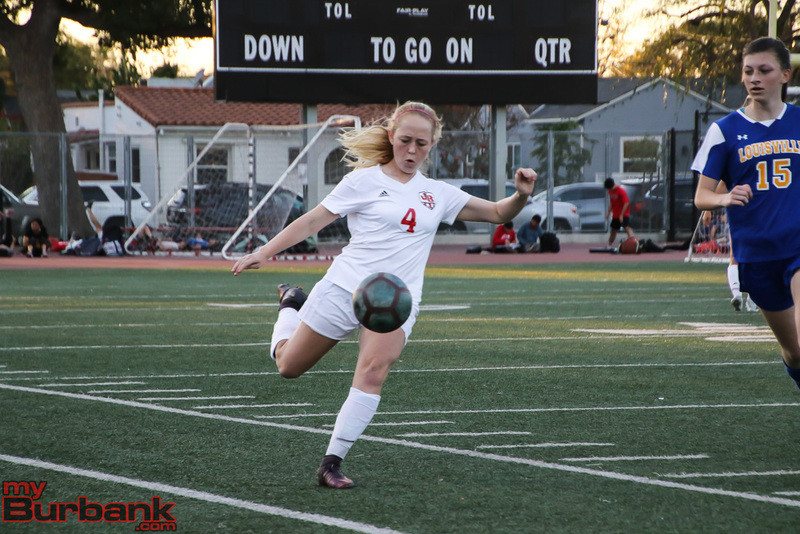 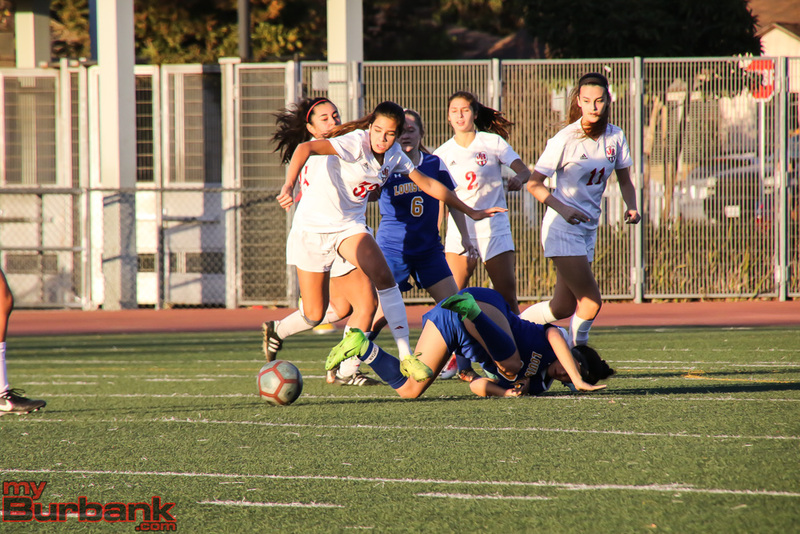 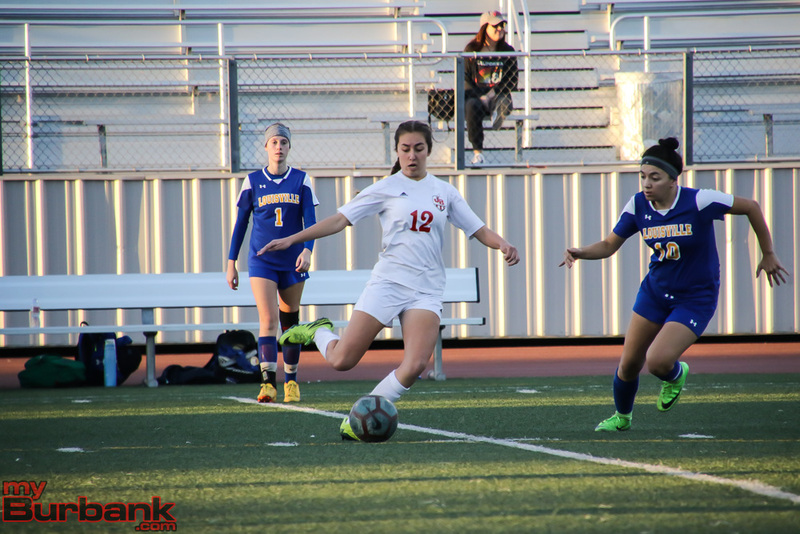 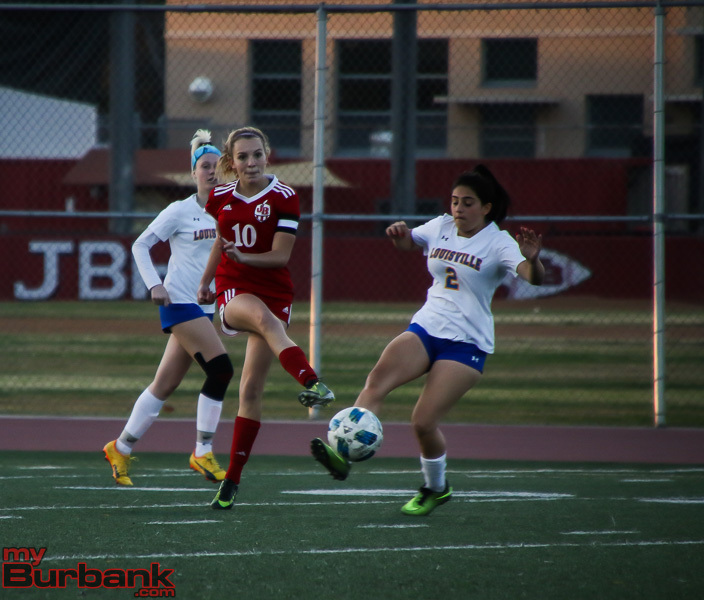 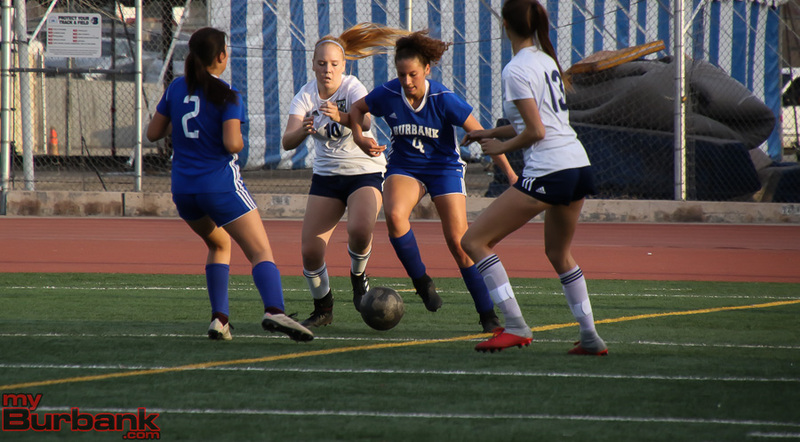 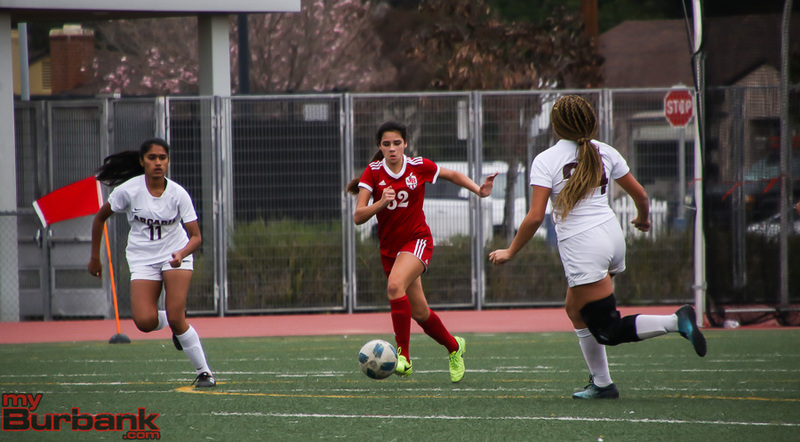 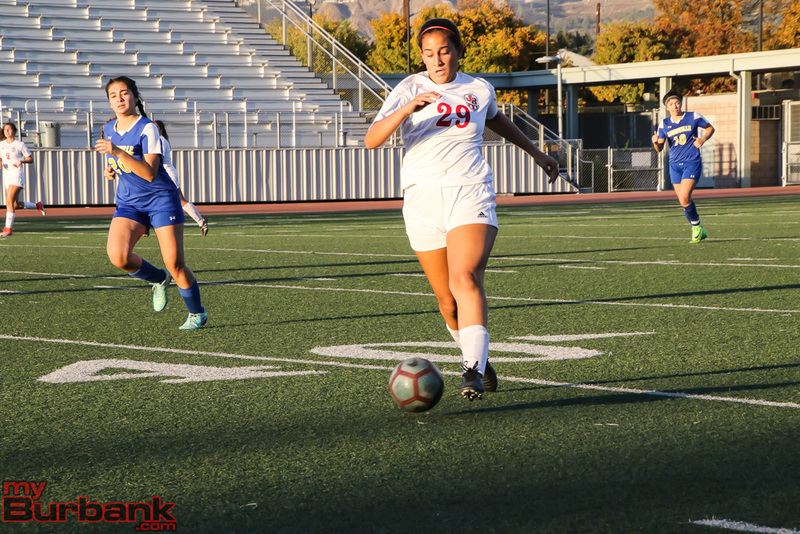 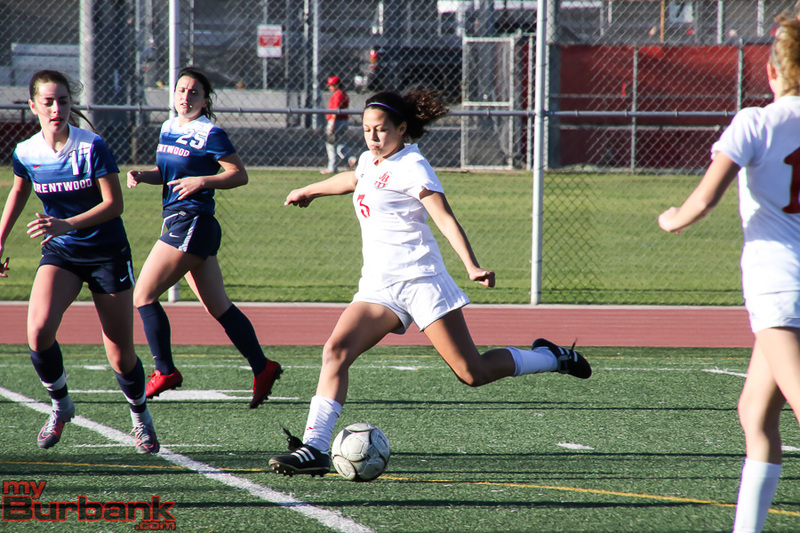 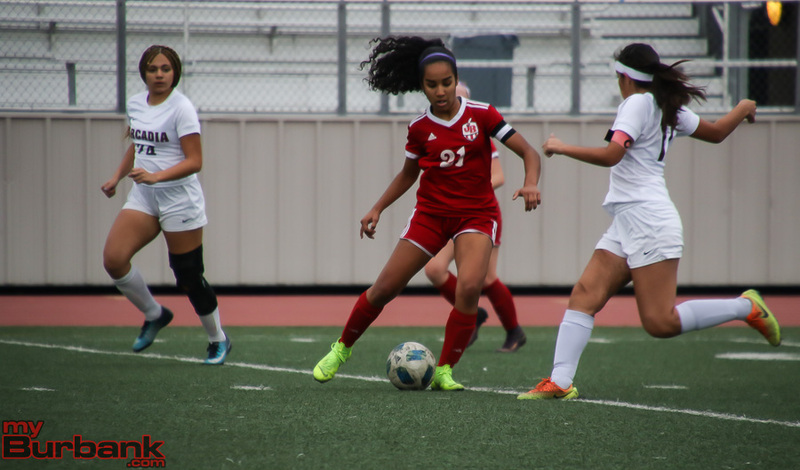 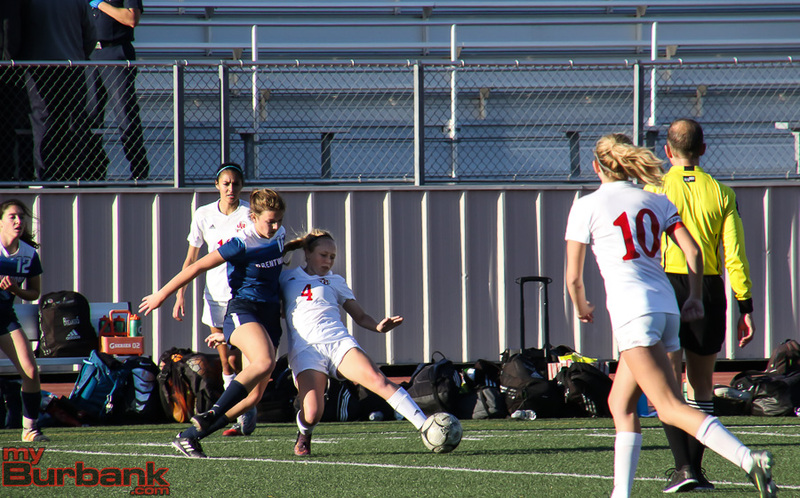 Burroughs, which will cap its regular season with a clash at rival Burbank on Thursday, struck in the sixth minute when junior defender Emily McHorney scored from 15 yards that made it 1-0. 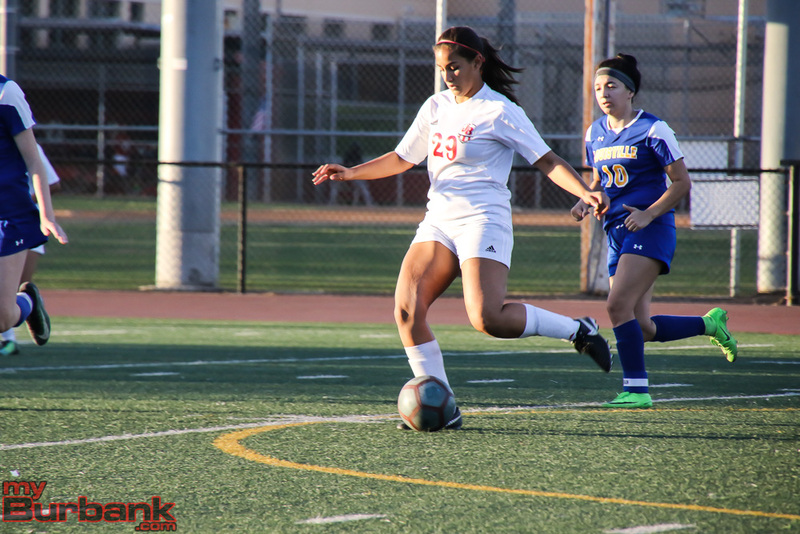 Burroughs seized a 2-0 cushion when freshman forward Lauryn Bailey located the back of the goal with a 15-yard kick in the 52nd minute. 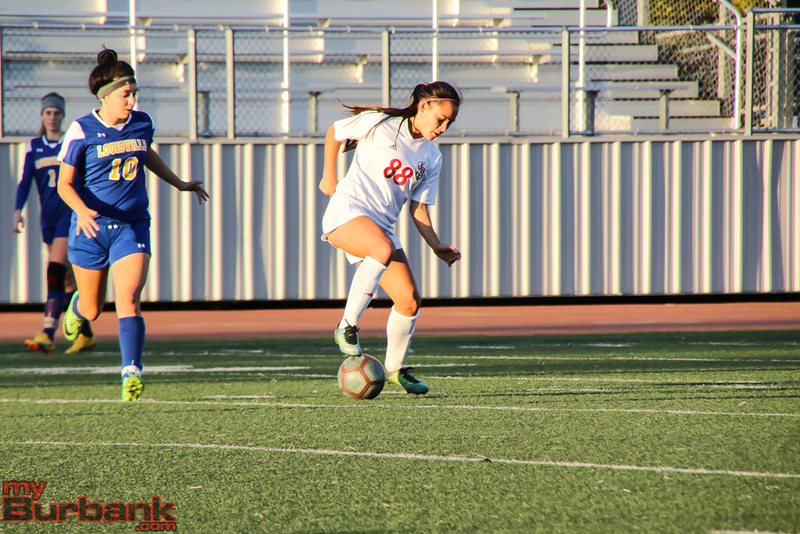 Bailey, who also chipped in with an assist, had an opportunity to make it 3-0 from 10 yards in the 75 minute. 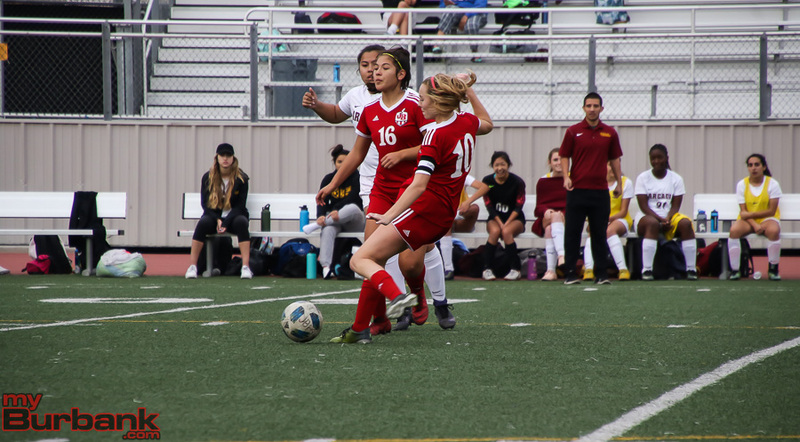 The action commenced when Falcon freshman Ashlin Cuesta had a 15-yarder in the second minute that was caught by senior goalie Samantha Martinez. 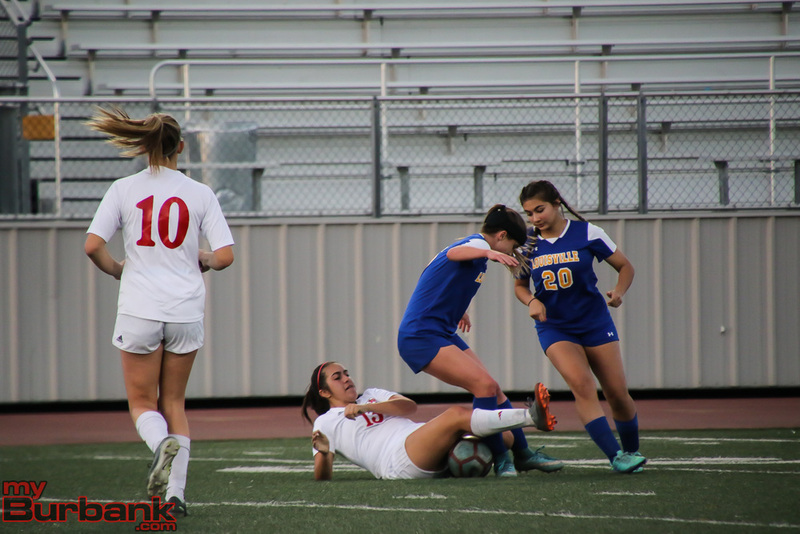 A minute later, Burroughs sophomore defender Orla Giffen collided heads with a Falcon player and didn’t return to the match. 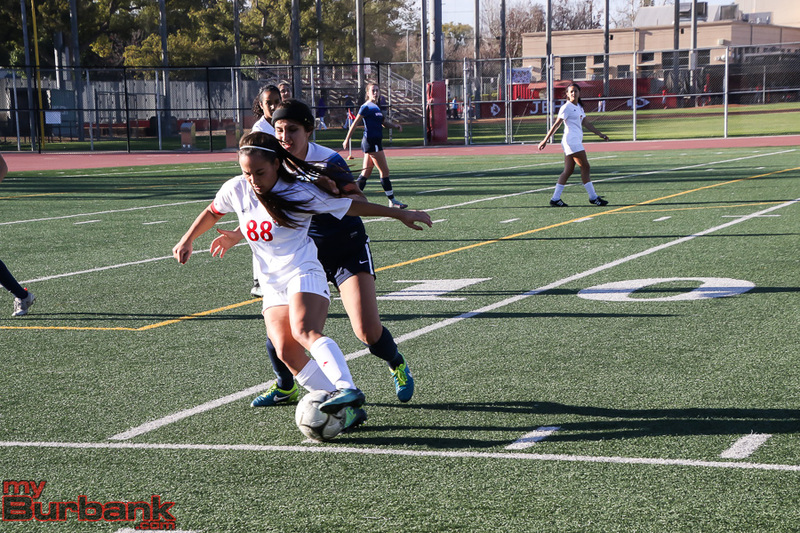 Cuesta nearly had a breakaway in the 13th minute, but Martinez scooped up the ball before Cuesta could kick it. 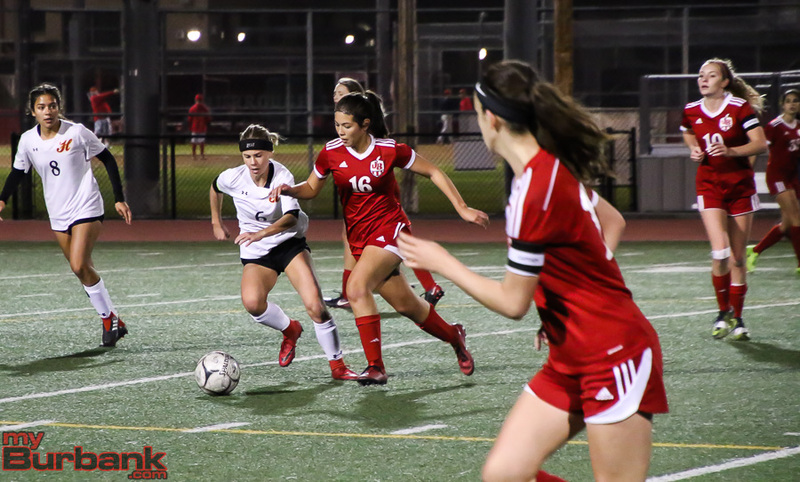 Junior Samantha Avendeno had a 20-yard loft for the Falcons that went off the net in the 16th minute. 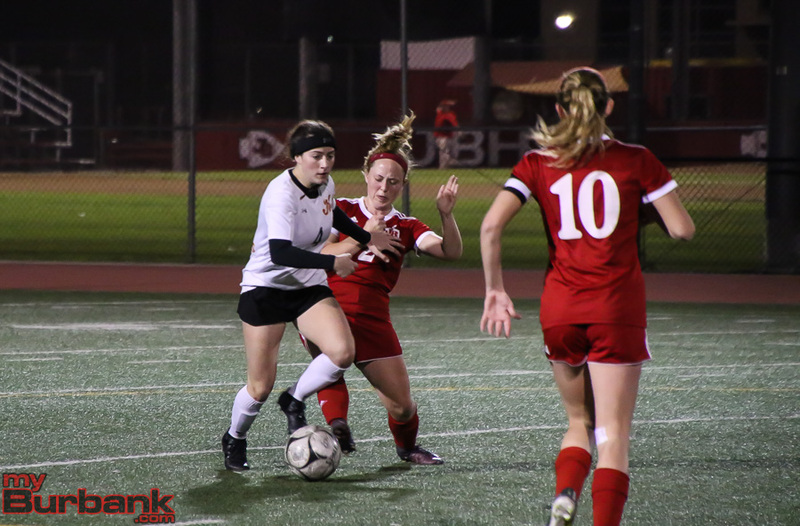 Junior midfielder Abbie Riggs, who had an assist, delivered a 15-yarder that sailed wide right in the 22nd minute and senior forward Catrina Villalpando added a 35-yarder a minute later. 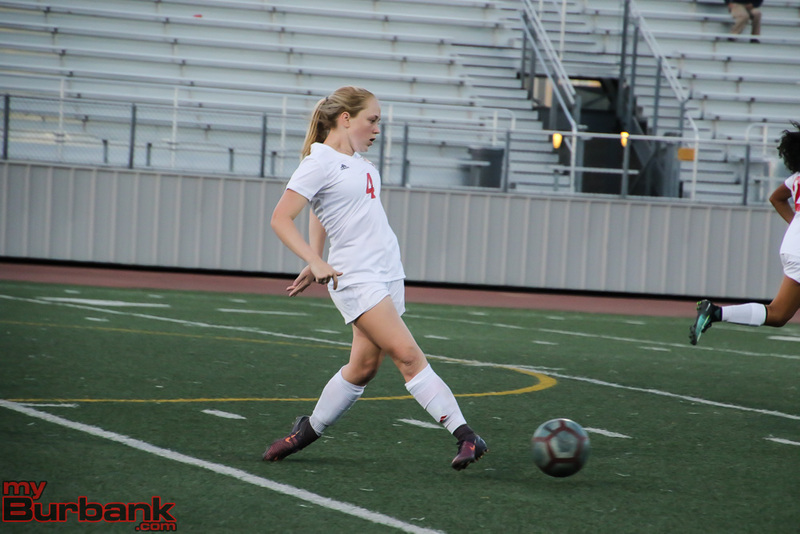 In the 24th minute, senior defender Anna Kasper unloaded a 50-yarder that didn’t find the target. 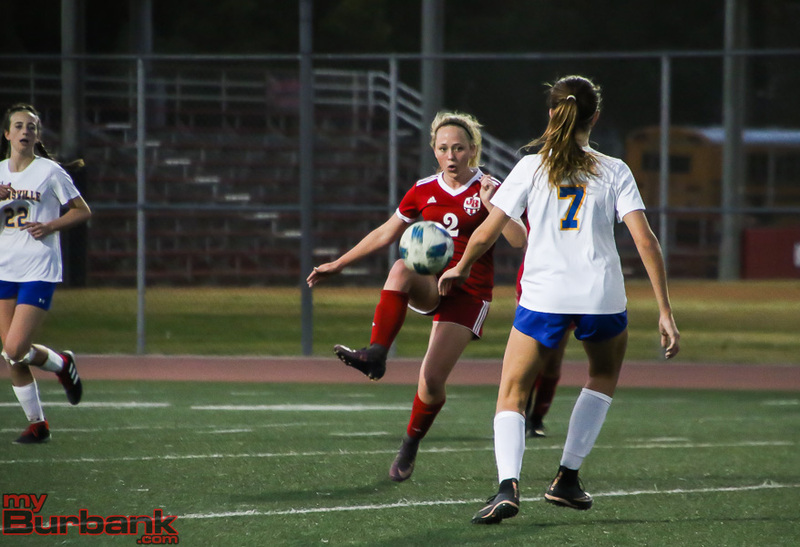 Riggs then drilled a 15-yarder in the 25th minute and was followed by a 20-yard free kick by Riggs in the 28th minute and a penalty kick by Riggs in the 37th minute. 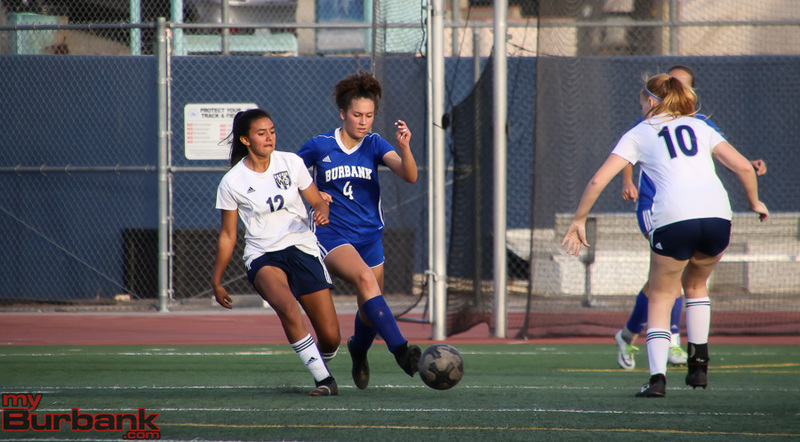 Freshman Dana Ryan had a 15-yarder for Crescenta Valley in the 38th minute, but McHorney tossed in a 20-yarder in extra time and Ataya, a freshman, a 35-yarder that sailed over the net in extra time. 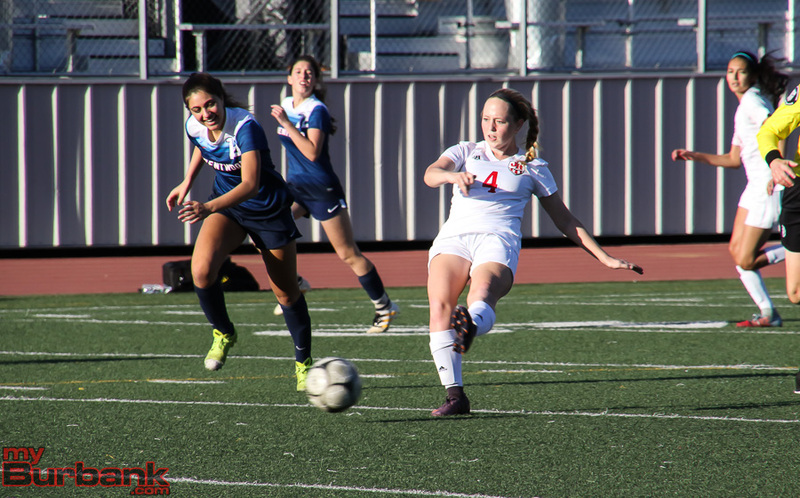 The second half began with the Indians getting off the first five kicks and they included Bailey’s 20-yarder that drifted too high in the 44th minute, Villalpando’s corner kick and header by Riggs from 10 yards in the 49th minute, Kasper’s 35-yard free kick in the 50th minute, Bailey’s goal and Bailey’s 10-yarder in the 53rd minute that snapped the string by Cuesta’s 15-yarder that Martinez grabbed in the 54th minute. 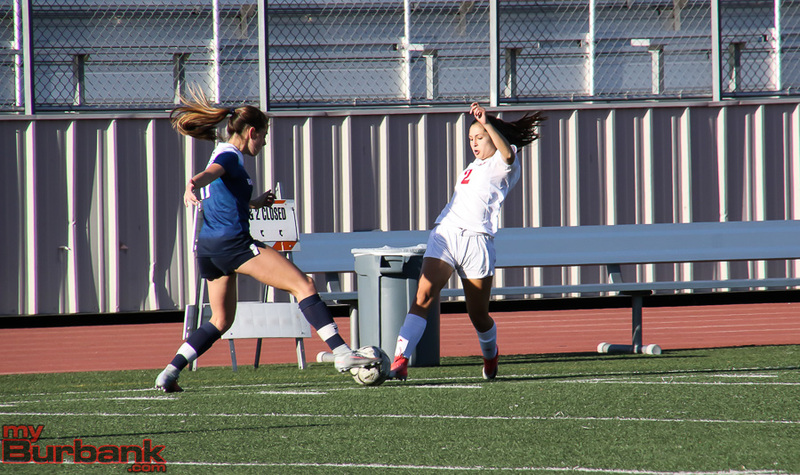 Kasper’s free kick was followed by junior forward Megan Rangel-Lynch’s follow-up attempt two minutes later. 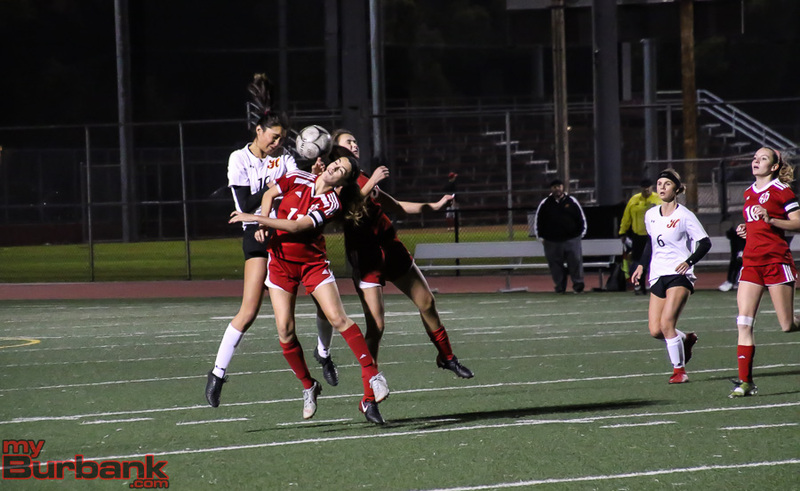 The Falcons had the next two attempts with sophomore Kathryn Thamasian’s throw-in and Cuesta’s 10-yard header in the 57th minute and Ryan’s 15-yarder that sailed high in the 58th minute. 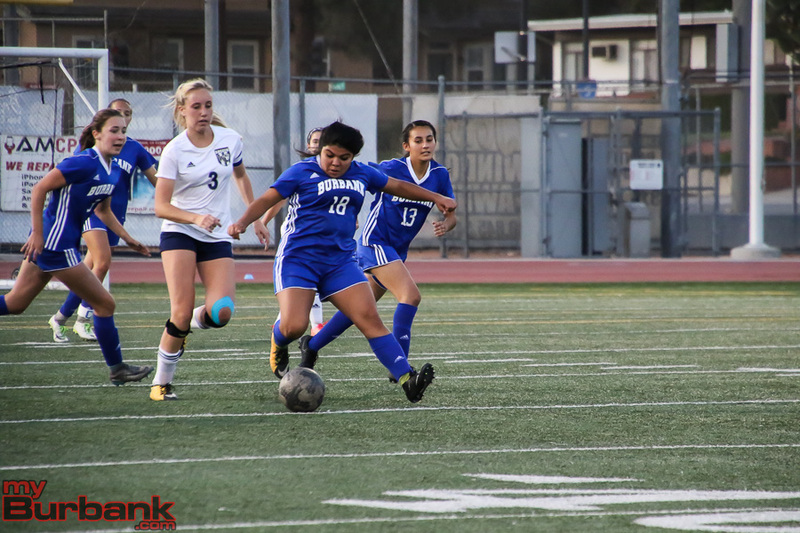 Thamasian had a 15-yard free kick in the 61st minute and Villalpando a 35-yarder in the same minute. 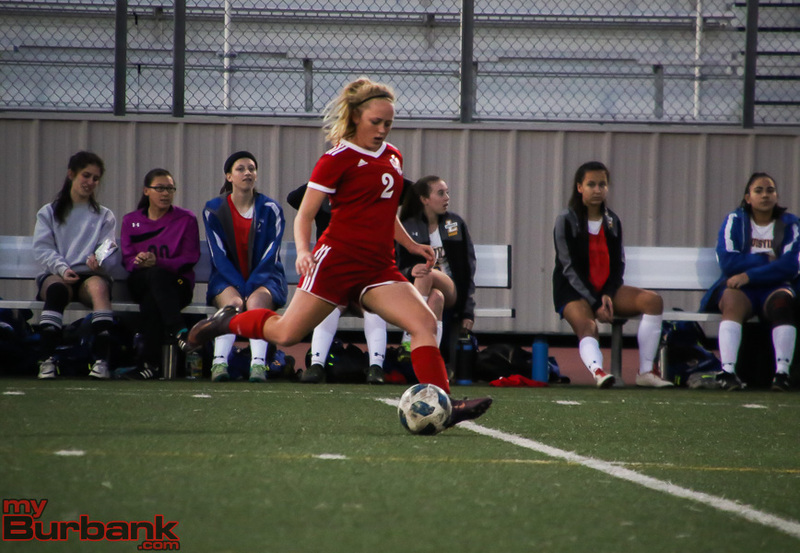 The Falcons had four consecutive kicks that included Thamasian’s 20-yarder in the 65th minute, sophomore Amy Rowe’s 20-yarder in the 67th minute, Rowe’s free kick in the 70th minute and Rowe’s 25-yarder in the 72nd minute. 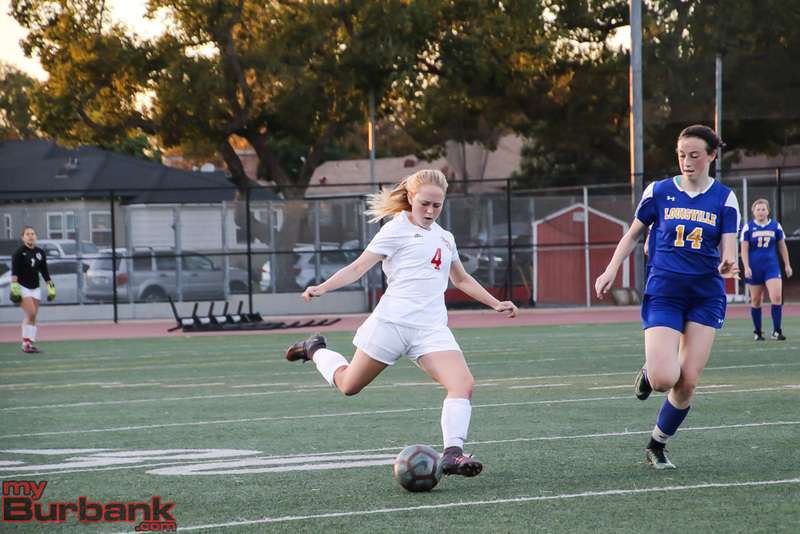 Kasper then had a 45-yard free kick in the 74th minute, followed by Ataya’s 15-yarder that was too high in the 78th minute and Rowe’s 35-yard free kick in extra time. 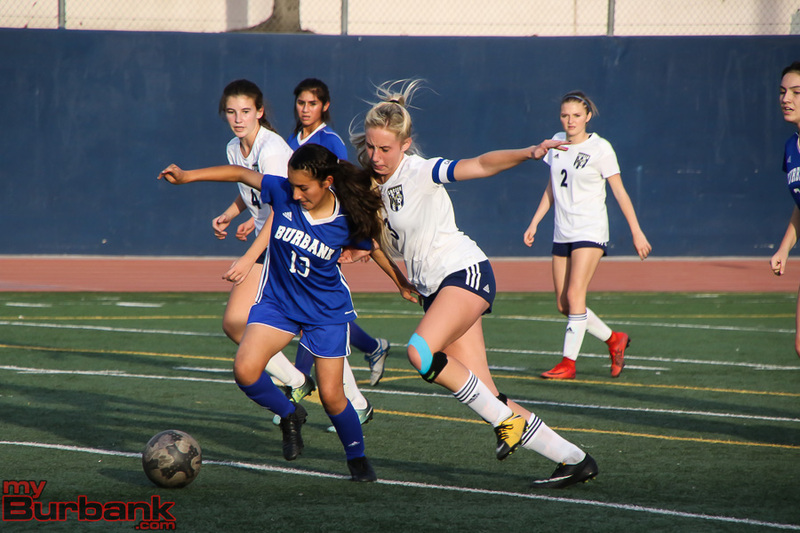 This entry was posted in Girls Soccer, Sports and tagged Abbie Riggs, Anna Kasper, Ava Kramer, Burroughs High, Catrina Villalpando, Emily McHorney, Girls Soccer, Lauryn Bailey, Megan Rangel-Lynch, Orla Giffen, Pacific League, Samantha Martinez on February 3, 2018 by Rick Assad.